Product prices and availability are accurate as of 2019-04-12 09:46:45 EDT and are subject to change. Any price and availability information displayed on http://www.amazon.com/ at the time of purchase will apply to the purchase of this product. 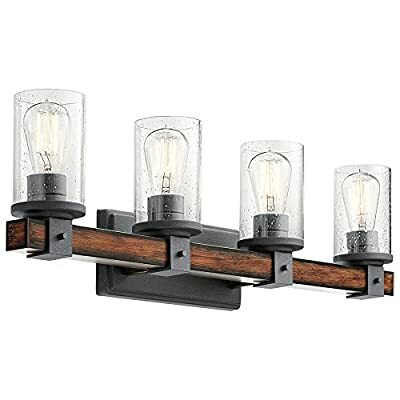 Barrington 4-Light Steel features a distressed black metal and a wood tone finish that adds charm to any room. With a vintage-style bulb inside of a clear seeded glass, it's sure to enhance the nostalgic touch you're looking for. 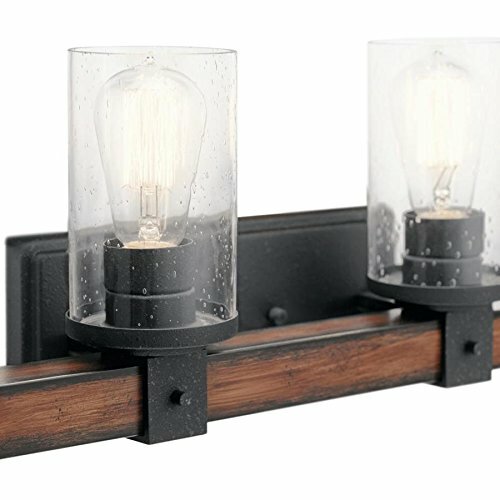 The light is simple, yet elegant, and offers a desired ambiance with its dimming capability. If you're looking for a traditional or an industrial style fixture, Barrington is the finishing touch.